Have you not been taking care of your carpets for a long while? Your carpets require care and attention if you want to them to stay looking and smelling good. If you don’t look after them the way you should, your carpets will start looking bad and not to mention the foul odors that will come from them. That is why you should think about hiring our excellent carpet cleaning service here at Rug Cleaning. Our London carpet cleaners will clean your carpets from top to bottom until there is no dirt or stains visible in sight. We understand that what with work, looking after a family and so forth, there is little time left in your day to deal with cleaning. We offer a range of cleaning services for you to choose from including rug cleaning, upholstery cleaning and more. These are all carried out by our motivated experts. They are dedicated to providing you with amazing services in London. If you like the sound of what we can offer you, please contact us now on 020 3744 3066 and we’ll be glad to help. If you call now, we’ll provide you with a free quote. You know it’s the right choice. 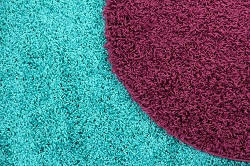 We can provide you with straight forward carpet cleaning services at affordable prices. So you don’t have to pay over the odds for any of our cleaning services. We are a cleaning company set on providing you with first class services that won’t cost the earth. We understand that nobody has the money to spend over the odds on our services, which is why we would be delighted to help you if you need professional services on a budget. We are happy to help you and we will do all we can to ensure all your needs are met. You won’t believe what you can get for your money here if you hire us for carpet steam cleaning in London. Our prices are the best around. You see, we are aware that what a client needs is the most important thing for a company to cater for. Whatever you need, give us a call and let us know about your needs. Then we will do all we can to make sure all your needs are fulfilled. We guarantee excellent carpet clean services at all times. You can rely on us for first class services at all times. Get in touch now to find out more. Your carpets are prone to getting grubby over time. You wouldn’t believe how badly stained they can grow over time unless you are cleaning them on a regular basis. You can’t clean them once and expect them to stay clean. You need to do it fairly often in order for them to stay looking clean and stay smelling fresh. If you are noticing many bad odors in your home, you might be surprised to learn that those bad smells may be coming from your carpets. If that is the case, you should try hiring us now for excellent carpet cleaning services London. We at Rug Cleaning will transform your carpets so that they look brand new again. They will be free of stains and bad smells and dirt and dust. And they will be replaced with nice smells. Because your carpets are a central part of your home, if they are looking and smelling bad, they can bring down the whole of your home. Instead, hire us now for professional services and call us on 020 3744 3066. We are happy to help you. So get in touch whenever you are free and watch our experts work hard.